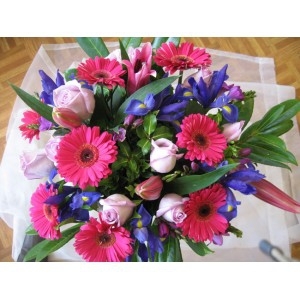 Very pleased it went so well . 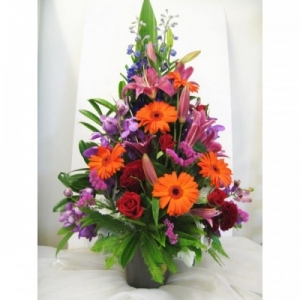 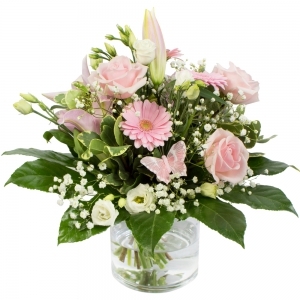 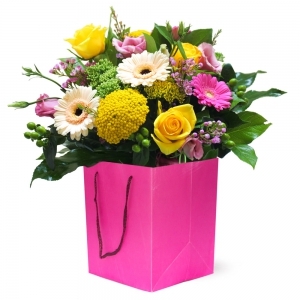 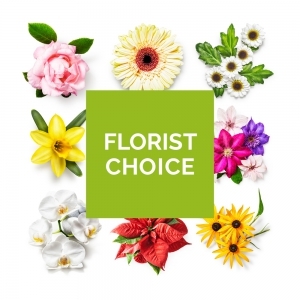 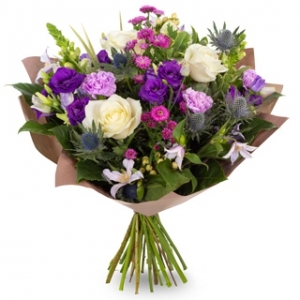 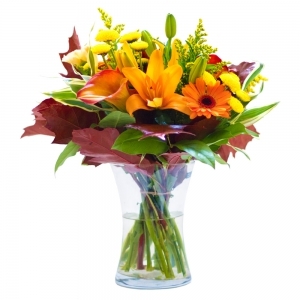 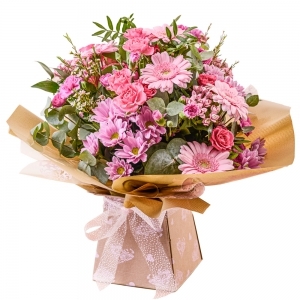 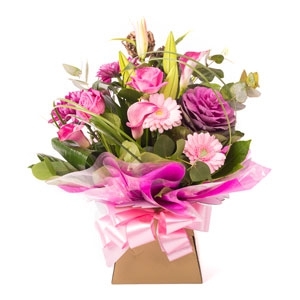 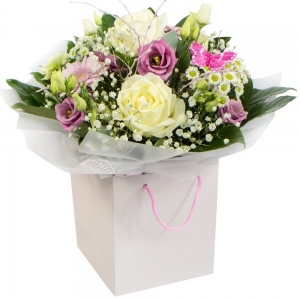 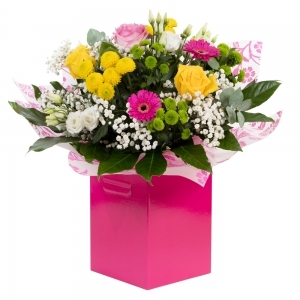 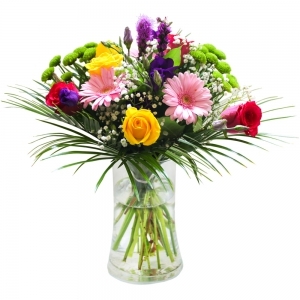 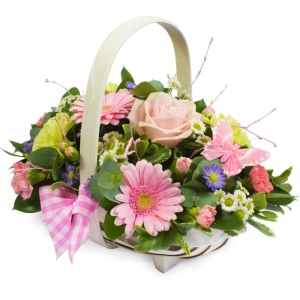 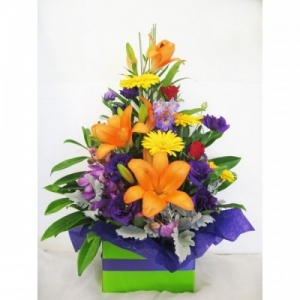 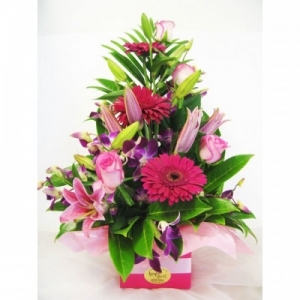 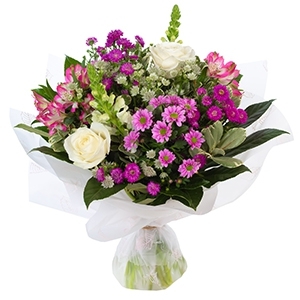 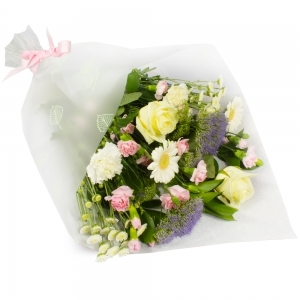 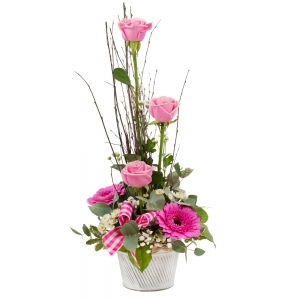 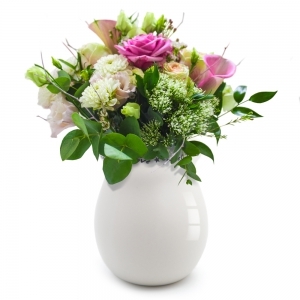 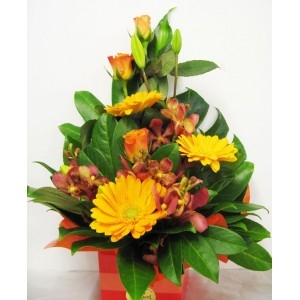 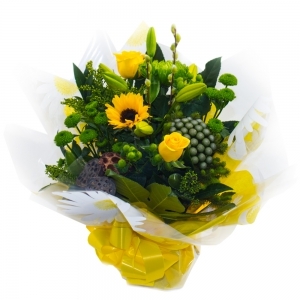 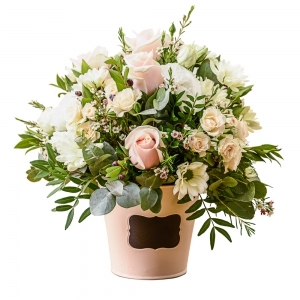 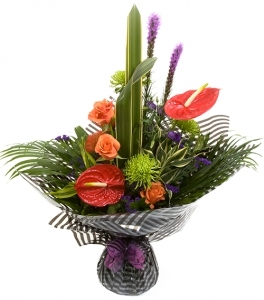 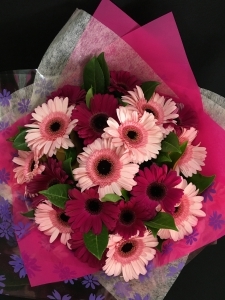 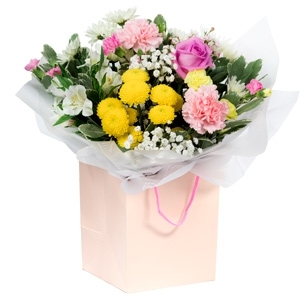 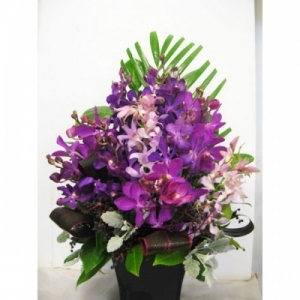 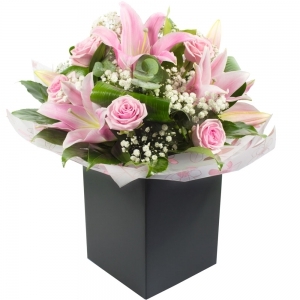 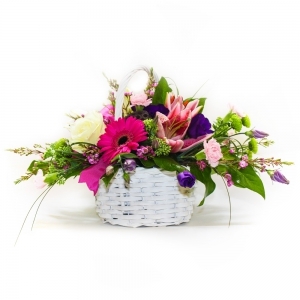 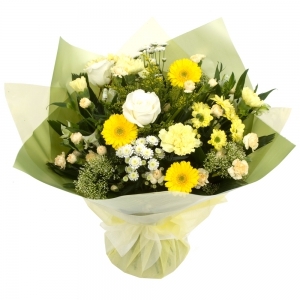 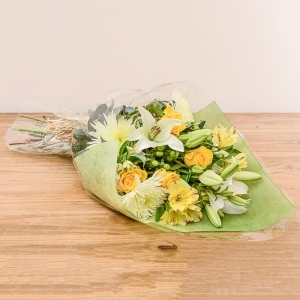 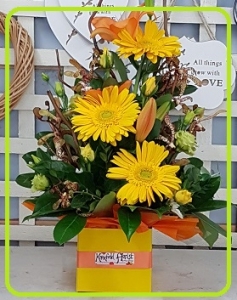 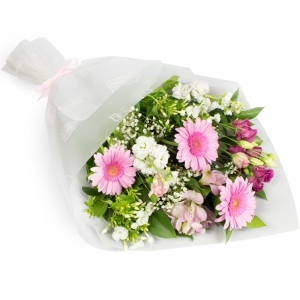 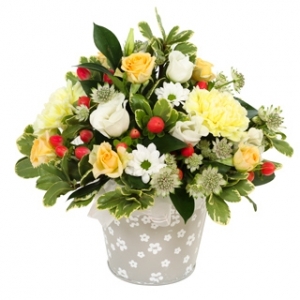 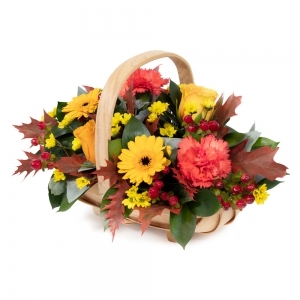 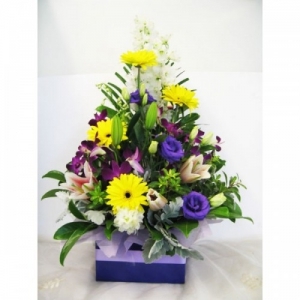 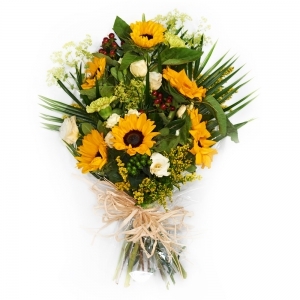 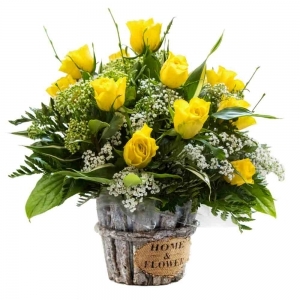 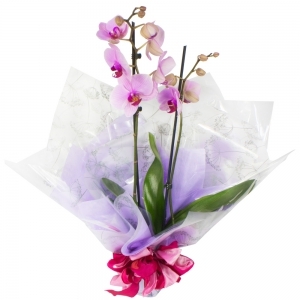 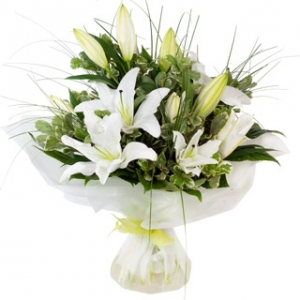 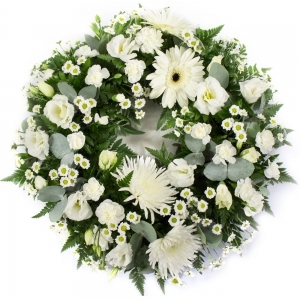 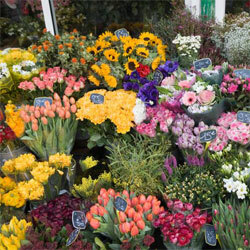 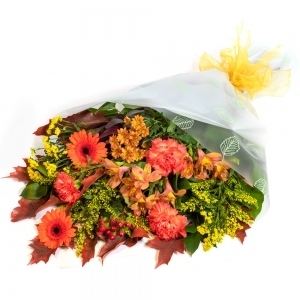 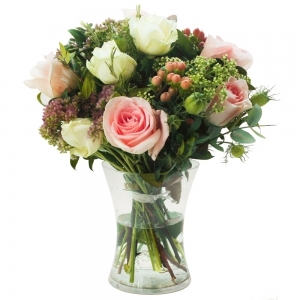 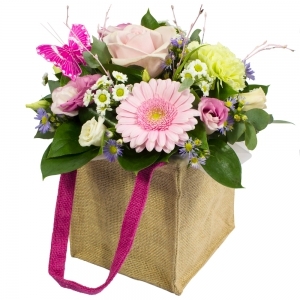 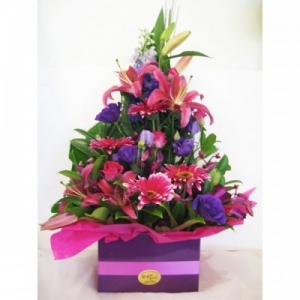 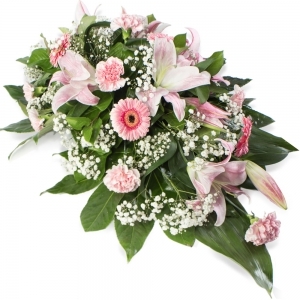 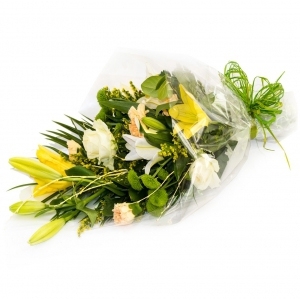 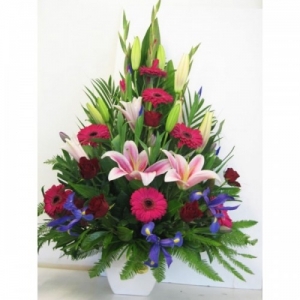 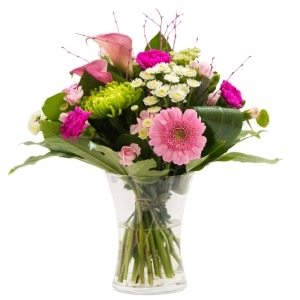 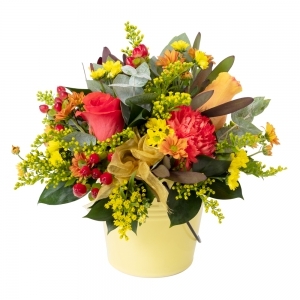 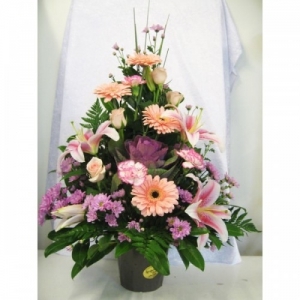 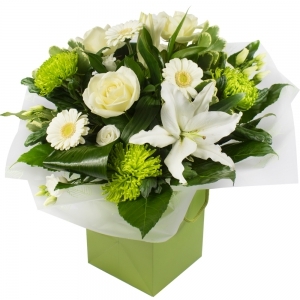 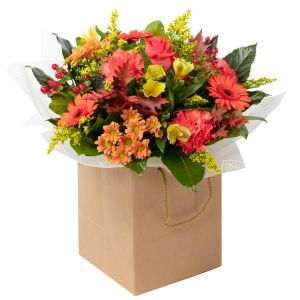 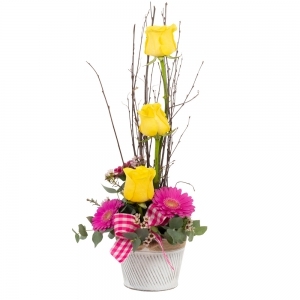 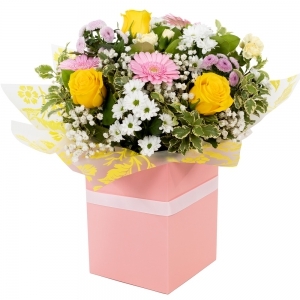 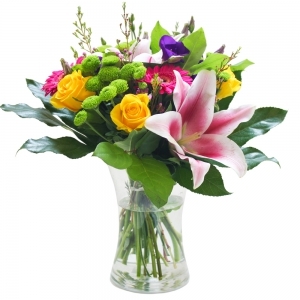 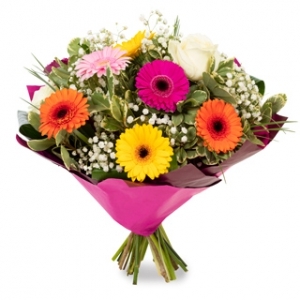 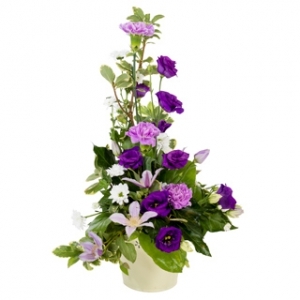 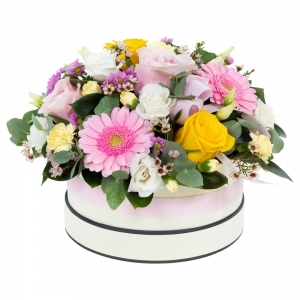 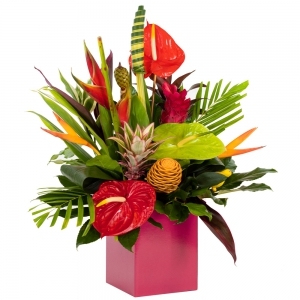 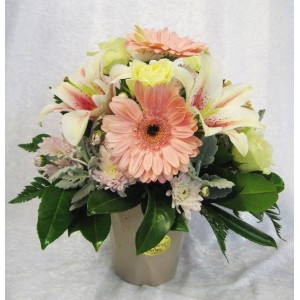 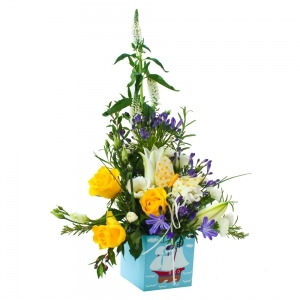 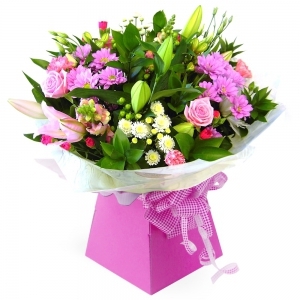 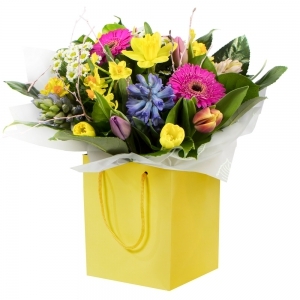 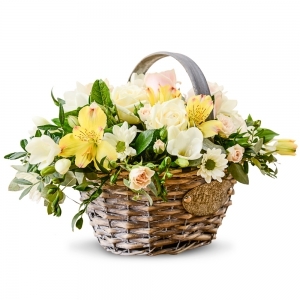 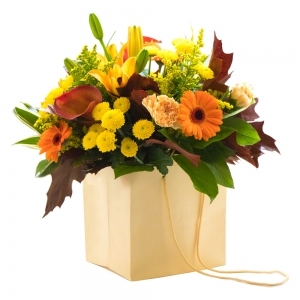 Large bright arrangement of mixed seasonal blooms in a reusable container. 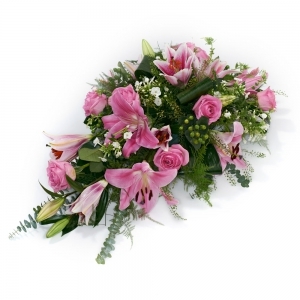 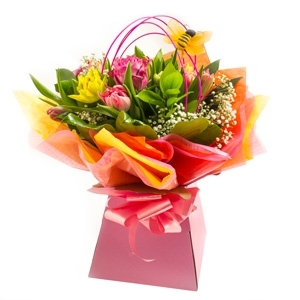 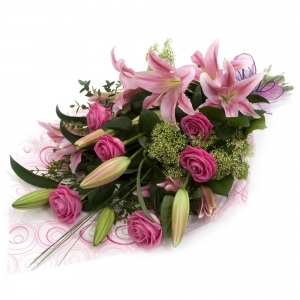 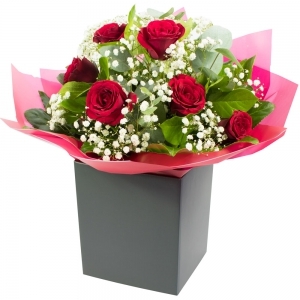 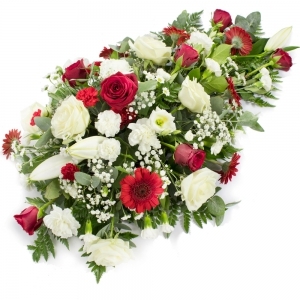 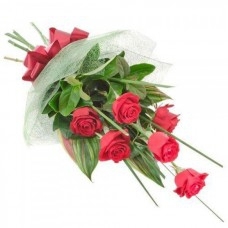 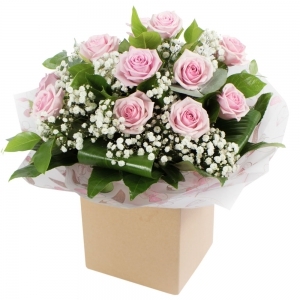 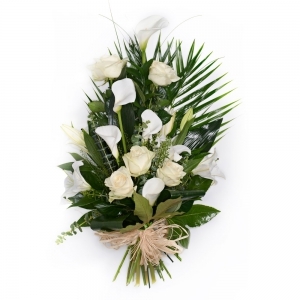 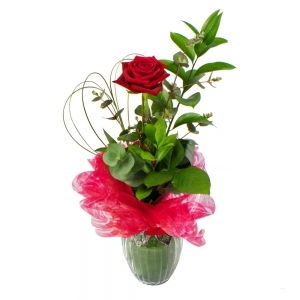 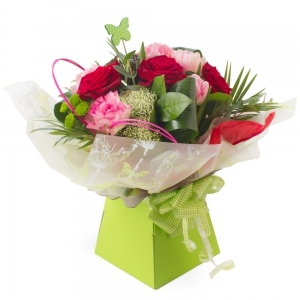 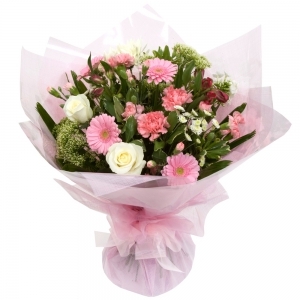 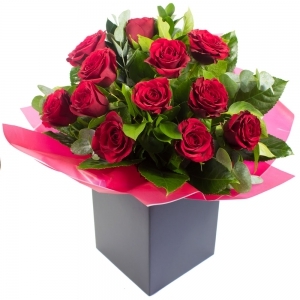 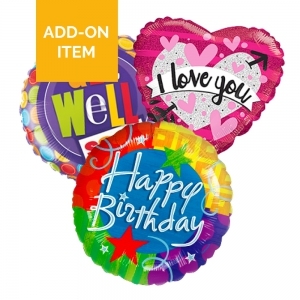 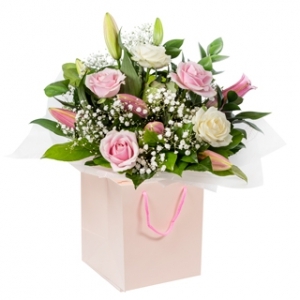 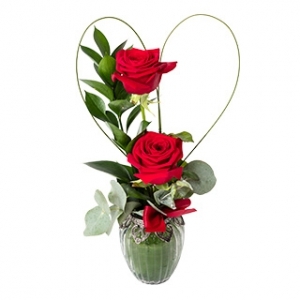 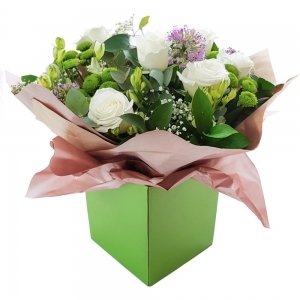 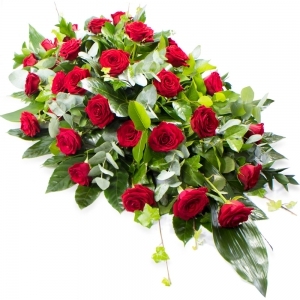 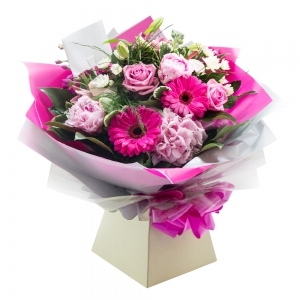 Six vibrant long stemmed red roses with lush greenery, nice wrap up.